Both pilots of a fire-fighting Convair 580 were injured in a runway excursion during landing at Manning, Alberta, Canada. On approach to Manning, following anti-fire-airwork in the region, the co-pilot requested medical assistance on the ground due to a unspecified illness of the pilot-in-command. 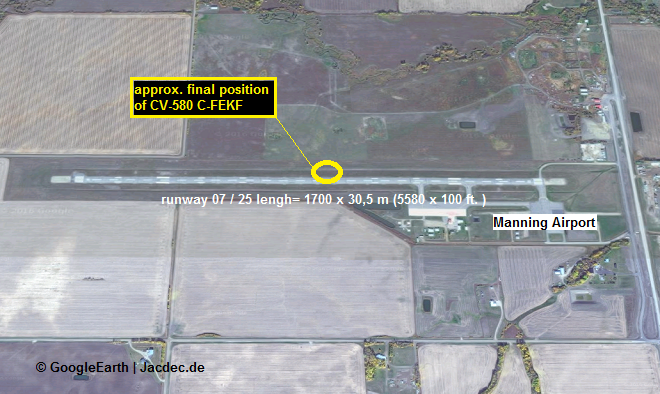 However on landing, the pilots apparently lost directional control and veered off the side of the runway where the Convair ran over soft ground. 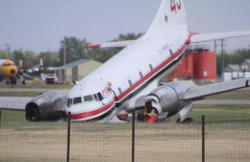 The nosegear dug in and subsequently collapsed. Both propellers detached and both turboprop-engines suffered major damage. One pilot was taken to local hospital receiving treatment for non-life threatening injuries. 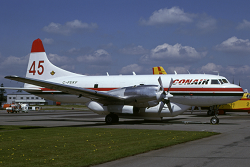 Damage to the vintage Convair CV-580 is substantial. Repair is doubtful. 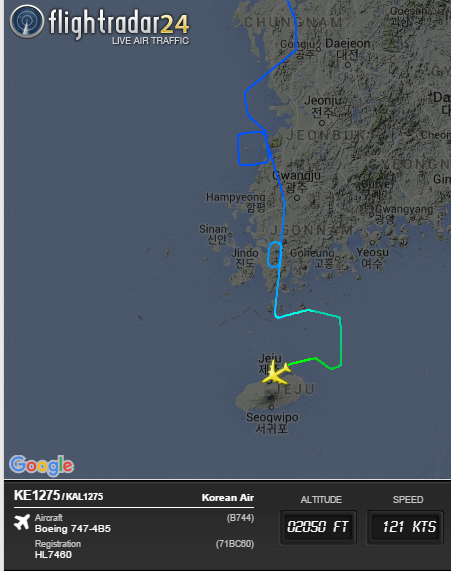 FLight KE 1275 landed on runway 24 at Jeju international Airport in darkness. 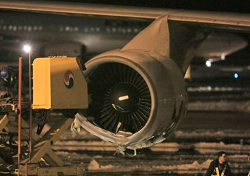 After arriving at the gate position, heavy damage was discovered on the right outer engine #4 (PW 4056). The lower casing, intake and cowlings were found bend and badly damaged. 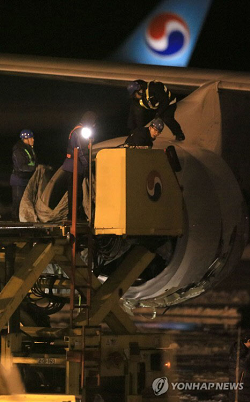 More engine debris were found on the runway forcing airport authorities to close the runway for at least one hour until all debris was removed. 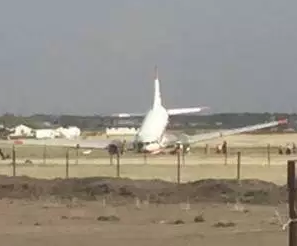 According to media sources, the engine damage indicate a possible podstrike immediately before touchdown as a result of an excessive bank angle. 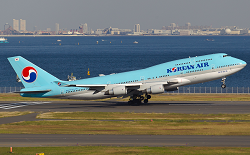 There were also signs of overstress to the engine pylon. 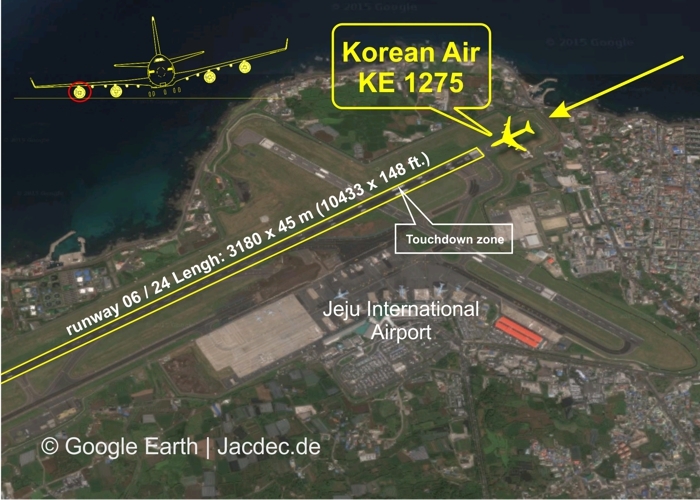 Jeju Airport re-opened for traffic one day earlier after a complete shutdown because of intense snowfall leaving about 90.000 people stranded.